We would like to thank XiaomiShop.com for providing this review unit. The left side of the _phone_ is completely bare. On the right, we find the silver-painted volume rocker and the power/lock key. The Xiaomi Redmi 2 features a 4.7" HD IPS display with a pixel density of 312ppi - those are identical specs to what the Xiaomi Redmi 1S has. Corning Gorilla Glass 2 provides a degree of protection against cracks and scratches. 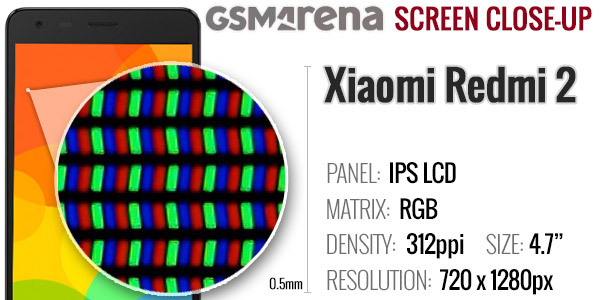 A closer look at the display matrix of the Xiaomi Redmi 2 reveals a standard RGB arrangement of an LCD panel's sub-pixels. The display on the Xiaomi Redmi 2 is bright enough at 100% with good contrast and colors. At 50% brightness the image quality stays the same. Unlike with the Redmi 1S, dropping the brightness slider doesn't reduce the brightness sharply. The sunlight legibility is improved over the Redmi 1S but still rather mediocre. Xiaomi is allowing user control over color temperature and saturation. Unfortunately there is no Glove mode this time around. Finally there is an option to prevent accidental unlocks of your screen, while the phone is in your pocket. If enabled, you won't be able to unlock the screen while something is covering the proximity sensor. This would take a toll on the battery though. Xiaomi has a 2,200mAh battery powering the Redmi 2, 10% more powerful than the Redmi 1S, and it is removable. 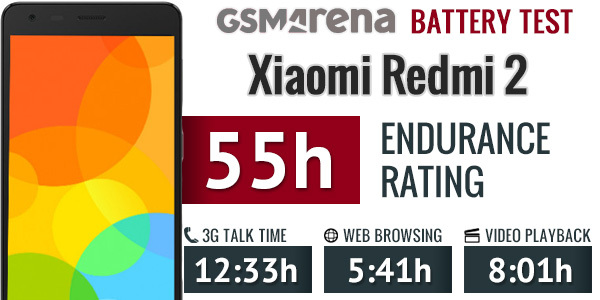 We ran our battery test and the Xiaomi Redmi 2 scored an overall rating of 55 hours, which means you can count on two full days if you do an hour each of calling, web browsing and video playback daily. The Redmi 2 does slightly better than the Xiaomi Redmi 1S (51hrs) but overall it's rating is about average. Check out our detailed Xiaomi Redmi 2 battery life test here. The Xiaomi Redmi 2 comes loaded with wireless connectivity features. We kick off with the Cat.4 LTE option (up to 150Mpbs down, 50Mbps up), and there is regular 2G and 3G connectivity, of course. The Redmi 2 is a dual-SIM phone with dual standby. One of the cards can be connected to an LTE or 3G network, while the other will work on GSM. Local connectivity includes Wi-Fi b/g/n and Wi-Fi Hotspot capabilities. There is no dual-band support, unfortunately. There is also support for Bluetooth 4.0 LE, but no ANT+ or NFC. The Redmi 2 relies on a standard microUSB 2.0 port for charging and wired data connectivity. What we do miss here is a wired TV-out option either via MHL or SlimPort. USB on-the-go and USB Hub are supported, which means you can use USB memory stick, mice and keyboards. You just have to purchase the USB OTG adapter separately (about $2). Finally, there is also support for GPS, GLONASS and BeiDou, plus an FM radio with RDS. Xiaomi Redmi 2 is running on the Snapdragon 410 chip with a quad-core 1.2GHz Cortex-A53 processor, Adreno 306 GPU and 1GB of RAM. There is a slightly more expensive Redmi 2 model with 2GB RAM and doubled internal storage, but that's yet to become officially available. The Snapdragon 410 is the most affordable chipset from the new 64-bit generation Qualcomm offers. It should provide a slight performance boost over its 32-bit predecessor, the Snapdragon 400, but don't expect miracles. GeekBench 3 explores the raw multi-core processor performance and it supports 64-bit architecture already. The Redmi 2 posted a respectable score for its class, absolutely on par with all the other Snapdragon 410 devices. It is obviously faster than the four Cortex-A7 cores within the Sony Xperia E3, but no match for eight of those as in the case with the Redmi Note phablet. The compound AnTuTu 5 benchmark adds RAM and graphics to the equation and shows pretty much the same results as the GeekBench 3. All Snapdragon 410 devices are doing fine, the Redmi 2 even scores a hair better than the Galaxy A chaps. The octa-core Redmi Note scores noticeably better though, while the Snapdragon 400-running Sony Xperia E3 is behind the curve. Next we ran the compound BaseMark OS II test, which in addition to CPU, GPU and RAM, tests also web and system performances. The Xiaomi Redmi 2 does great here beating all other devices but the Galaxy A5 and A3. We should note that the Galaxy A3 has an edge over the rest S410 devices as it runs on a lower-resolution qHD screen. BaseMark OS II also provides separate scores for the single and multi-core processor performance. Quite expectedly the octa-core Cortex-A7 in charge of Redmi Note is topping the charts, while the quad-core Cortex-A53 is doing as well as the others. We've tested the new Adreno 306 GPU before and it didn't show any improvement over the previous generation Adreno 305. It is weak on the offscreen T-Rex test, beaten by the Adreno 305, but shows equal performance when it comes to Open GL ES 3.0 Manhattan offscreen benchmark. Onscreen performance matters the most, of course, as these GPU were made to work best with HD or sub-HD screens. Xiaomi Redmi 2 and Galaxy A5 run on 720p resolution these tests, while the Xperia E3, Galaxy A3 and HTC Desire 510 feature sub-HD screen thus the better fps output. Unfortunately the Basemark X GPU test crashed every time we tried to run it. Finally, let's check the web browsing performance. The Kraken benchmark is all about Java Script and the Redmi 2 is doing very good, while the compound BrowserMark 2.1 shows it is behind the curve. Of course, if you are unhappy with the default web browser, you can always switch to Chrome or other alternatives. Snapdragon 410 chipset is doing OK in the Xiaomi Redmi 2, providing a proper experience for this price and hardware segment. Sure, some phones are better and the Snapdragon 400 older phones are on par or a hair behind, but at least the Redmi 2 offers better futureproofing with its 64-bit processor. And for what's worth the MIUI 6 and the Android KitKat run blazing-fast and lag-free on the Xiaomi Redmi 2, as all of its system apps and popular heavy-duty office apps. Xiaomi Redmi 2 supports voice call recording and it can do it automatically on each call if you like. You can also assign an answer gesture, pre-define quick responses upon reject, there is even support for internet calling. The Xiaomi Redmi 2 scored a Very Good mark on our loudspeaker tests, meaning you'll hardly miss any calls and notifications. The loudspeaker sound quality seems great and Xiaomi has definitely improved its work since the Redmi 1S. There is no Gmail app pre-installed, but you can opt for Gmail or Inbox, if you prefer, from the Play Store. There generic Maill app is capable of handling all kind of mail accounts, including Gmail, and it can handle multiple Exchange, POP or IMAP inboxes. You have access to the messages in the original folders that are created online, side by side with the standard local ones such as inbox, drafts and sent items. MIUI offers Google keyboard by default - it has always been pleasure to use and is one of the most preferred Android keyboards out there. On this screen the keys are comfortably large in both portrait and landscape mode. There is support for gesture typing, handwriting and voice input. 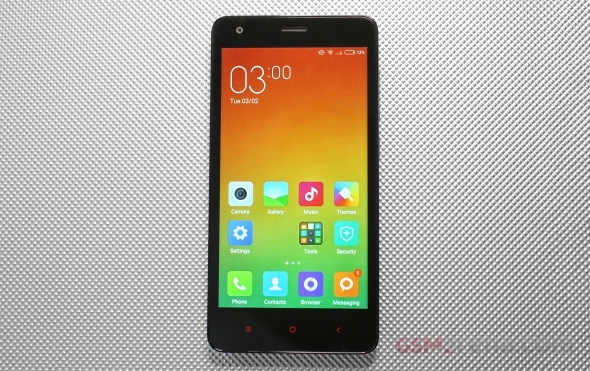 Xiaomi Redmi 2 features an 8MP camera, equipped with a LED flash. Its interface is fairly simple, though has changed a bit since MIUI v.5. Now you have three scrollable pages - the default one shows the viewfinder with a virtual shutter, flash trigger and front camera key. The top page has 12 filters with live preview, while the bottom has advances modes such as Panorama, HDR, Skin Tones, Manual. The Manual Mode offers you settings for white balance and ISO manual settings. The Face Detection switch is within the additional settings. Our Xiaomi Redmi 2 unit came with a defective camera lens and was able to focus only at objects at about 2 meters distance or less. The camera resolves a decent amount of detail although and manages to keep the noise levels low. The smartphone's camera renders colors well - slightly oversaturated, but not too much to create an unrealistic effect. Panorama shots are available too - you can capture both landscape and portrait panoramic photos at about 180 degree. Shooting is easy but the stitching takes a while to complete. The end result is rather disappointing though - the landscape shots come in 2300x400px pixels while shooting in portrait mode results in the somewhat more usable (but again far from great) 2000x800px. While the panoramic images are stitched well, the quality and resolution are below the competition. The Xiaomi Redmi 2 is more than capable of carrying its own weight in our Photo Comparison tool. You can see it puts up a good fight against the other snappers we've tested and comes on top even against some far pricier options. Xiaomi Redmi 2 camcorder has the same UI as the still camera. It supports time-lapse videos with customizable snapping interval. The Xiaomi Redmi 2 is capable or recording up to 1080p@30fps. 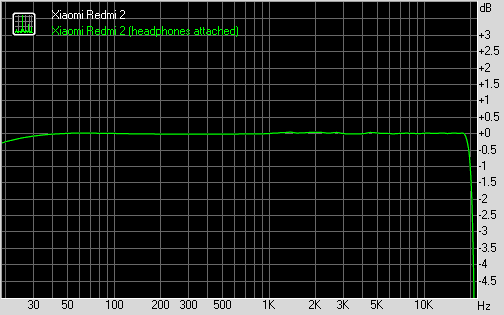 The bitrate of the samples is 15 Mbps, audio is captured at 96 Kbps with 2 channels (stereo). The detail levels in the 1080p videos are average Colors and contrast are good and the framerate consistent at 30fps. Don't forget our unit has problems with the focus at long distance objects. For better idea of the camcorder quality, check our Video Comparison Tool. You can also download the 1080p untouched video sample taken straight off the Xiaomi Redmi 2. The Xiaomi Redmi 2 enters our video comparison too. There are plenty of 1080p camcorders you can compare it with. It resolves average detail, while contrast and colors are good.. The big question when dealing with a sequel: is it worth the upgrade? The big question when Xiaomi is involved: are these guys running a charity? We should all be used to it by now and this is not about Xiaomi's asking price for the Redmi 2 compared to similarly equipped phones. It's about how a new-generation 64-bit processor, LTE connectivity and an updated OS version cost exactly zero. That's' right, at certain shops the Redmi 1S and Redmi 2 cost the same. And we may as well be cool about it and don't count the bigger battery, a subtle re-design and a new MIUI version. Anyway, if there's a place we wouldn't want to be, it's that of someone who just recently bought the Xiaomi Redmi 1S. That should pretty much answer the big question. For just about 130 you are getting a 4.7" IPS display of 720p resolution, a capable Snapdragon 410 chip with a 64-bit processor, a good enough 8MP camera with 1080p videos, LTE connectivity, dual SIM support and Android KitKat. Does it sound like an incredibly tempting package? No. But at that price, it's a steal. We've been seeing a lot of similarly equipped offers lately. The S410 is the new midrange favorite and affordable LTE is in high demand. The Redmi 2 is just another one hopping on the bandwagon. Its key advantage is the price. A similar package by a top-tier maker will cost double or more. The ones that come within its budget are clearly inferior in terms of specs. Undoubtedly the biggest rival that the Redmi 2 faces is the Meizu m1. Costing about the same, the m1 offers a higher-res 13MP/5MP camera combo, faster 1.5GHz CPU and a slightly larger 5" screen. It is yet to come to the market though and by the time it starts to ship abroad, the Redmi 2 might have already received its 2GB RAM refresh. 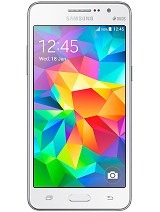 The Samsung Galaxy Prime will give you a slightly bigger display and a better selfie camera, but a qHD LCD. The HTC Desire 510 has even lower FWVGA resolution. On the plus side, it offers fresh design, more speed (because of the screen lower resolution) and amazing battery life. It runs Android KitKat with Sense 5.5, but comes with less capable camera department. 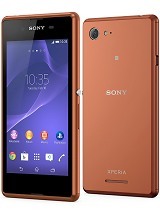 Sony's affordable Xperia E3 is priced closely but is inferior in every key aspect: lower resolution display, previous generation Snapdragon 400 chip, no LTE on the dual-SIM model, half the storage at 4GB, and lower-res cameras. Good performance and battery life, plus deep integration with some core Sony services are the high points. No groundbreaking specs, no record-breaking performance, the Redmi 2 isn't a phone to top anyone's wish-list but one that will get the job done - and even over-deliver for the asking price. It's the kind of device that easily explains Xiaomi's growing popularity outside the traditional Asian markets. Definitely worth a try, especially if you can get a hand on the 16GB version with 2GB of RAM. Although it will certainly be more expensive, the big question to ask Xiaomi isn't how much it's going to cost - but when it will be available around here.